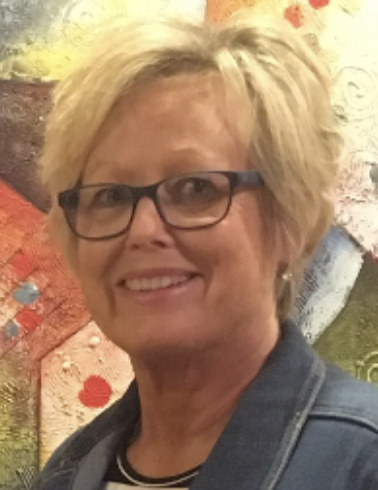 Marcia Jane Lane, 66, of Paragould, passed away Monday, March 25, 2019, at the Flo and Phil Jones Hospice House. She was born January 11, 1953, to John and Mary Lane. Marcia was a dental hygienist for Dr. Michael C. Risk in Mountain Home from 1996 to 2003. She then was a dental hygienist for Dr. Tim Hunt and Dr. Kevin Mann from 2003 to 2017. She loved to travel and shop. Marcia was a fantastic cook and enjoyed spending time with her family. She was an active member of the St. Mary’s Catholic Church. Marcia was preceded in death by her father, John Lane, and husband, Merritt Sanders. Survivors include her mother, Mary Lane; daughters, Jill Sloas (Michael) and Farrah Futrell (Kelly Jones); brothers, John Lane (Kathy) and Kenny Lane; sister, Pat Dacus (John); grandchildren, Zoe Sloas, Ben Sloas, Abby Ollis, Andrew Ollis; and granddog, Jett Sloas. The Rosary will be held at 5:30pm on Thursday, the 28th of March at Phillips Funeral Home. The visitation will follow from 6:00 to 7:30 p.m. The funeral Mass will be held at 10:00am on Friday, the 29th of March at St. Mary’s Catholic Church. Father Mike Sinkler will be officiating. A private inurnment ceremony will follow the funeral mass at St. Mary’s Cemetery. Funeral Arrangements are being handled by Phillips Funeral Home. Lasting memorials may be made to the Flo & Phil Jones Hospice House of Jonesboro or Rex Bouldin Scholarship Fund, % St. Mary’s Catholic Church, 301 West Highland, Paragould, AR 72450.